New Delhi: Layoffs, sackings and pink slips may be the buzzwords for most companies cutting across sectors, given the pressure on them to reduce costs in the face of global financial turmoil and a slowing domestic economy. But some financial services firms in India are hiring, and there’s no shortage of jobs, at least for the top names and at senior management levels, as the global crisis frees up talent and lowers salary expectations. It’s also a sign of companies betting on India’s long-term growth prospects. “With the current turmoil in the market, good talent is far more accessible now," says Shalini Kamath, managing director for corporate communications and human resources at Ambit Holdings Pvt. Ltd, a Mumbai-based financial services firm. “We look at this as an opportune time to grow our team strength and consolidate our businesses." Ambit hired three top bankers from DSP Merrill Lynch (now renamed DSP BlackRock) in India in September. They include Andrew Holland,Vaibhav Sanghvi and Piyush Shah. Holland joined as the chief executive officer for institutional equities and equity proprietary trading at Ambit Capital Pvt. Ltd, while Sanghvi and Shah joined, respectively, as director and vice-president in charge of equity proprietary trading. The company also hired Nikhil Puri as managing director of corporate finance. Puri moved to Ambit and India from Bear Stearns, where he was managing director in the beleaguered investment bank’s global industries group. Ambit says it will continue to look for suitable talent. 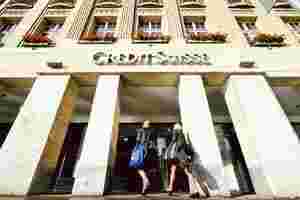 Credit Suisse Global has added four senior executives to its investment banking team in India in the past three months. In October, it hired Sai Tampi as a director and head of multi-asset class solutions, a part of Credit Suisse’s asset management division in India. Tampi moved from HSBC Investments in India where he was working as senior vice-president and head of portfolio management. In September, Credit Suisse hired Pankaj Kalra from DSP Merrill Lynch in Mumbai as managing director in its India investment banking division to handle select large-cap clients in the energy, industrial and telecom sectors. A month before that, the firm appointed Sughosh Moharikar and Samita Shah who joined as managing directors of its investment banking division. Moharikar joined from banking and financial services company Kotak Mahindra Group, where he worked as executive director and head of mergers and acquisitions, while Shah moved from Lehman Brothers’ Indian unit, where she was managing director and co-head of the Asia special situations team. Ashim Ahuja moved from Deutsche Bank AG, where he was director, global corporate finance, to join as a director of Credit Suisse’s investment banking team. “India is a strategic market for Credit Suisse in Asia-Pacific, both in terms of business opportunities and operations support for our businesses globally," said Josephine Lee, director of corporate communications, Asia-Pacific, at Credit Suisse. “The growth prospects over the medium and longer term in India are excellent." JPMorgan Chase is also ramping up its India team. In October, the global financial services company hired Jahangir Aziz as chief economist for its Indian operations. Aziz came from the ministry of finance where he was the principal economic adviser. Before this, the company had appointed Kalpana Morparia as the chief executive officer of its Indian operations. Morparia, a well-known face in India’s financial services sector, was chief strategy and communications officer and vice-chairperson for insurance, securities and asset management at the country’s largest private sector bank, ICICI Bank Ltd.
Other financial services firms that have been hiring include Avendus Advisors Pvt. Ltd, DLF Pramerica Life Insurance Co. Ltd and Max Bupa Health Insurance Ltd, said search firm executives mandated by these companies to recruit for them. Avendus, a Mumbai-based investment bank, has been actively hiring people, from analysts to senior managers. The firm, which has at least 100 employees, has increased headcount by 15% over the past three months with a majority of the new recruits being hired for its leadership team. “The availability of good quality talent is encouraging companies to gun for it at reasonable salaries which was not possible when the market was buoyant," says Charul Madan, partner at Executive Access India Pvt. Ltd, an executive search firm. For some, it’s preparing for the future. “We are building a state of preparedness within the organization, so when the markets come back to normalcy, we can capitalize on the opportunities the marketplace will offer," said Ambit’s Kamath.